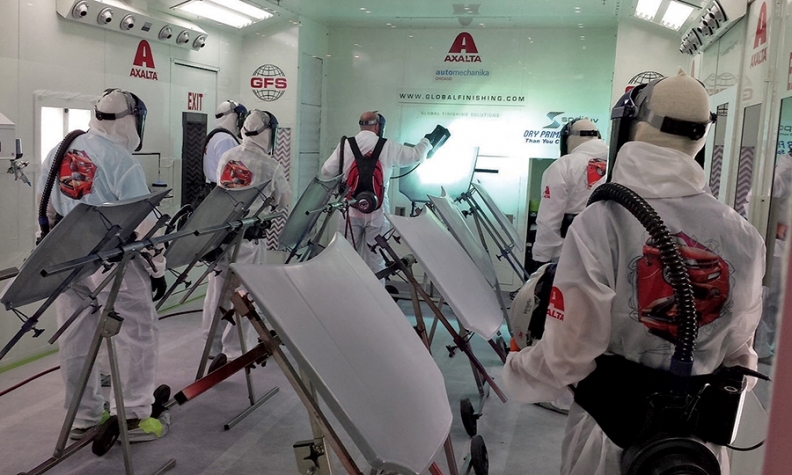 At the Axalta paint booth, an instructor dries primer in seconds with a few passes of an ultraviolet light. Editor's note: PartsTrader is not a unit of State Farm Insurance Co. An earlier version of this story misstated that relationship. CHICAGO -- The average light vehicle on America's roads is 11 years old. That's good news for auto repair and body shop owners, who thrive on fixing old vehicles. The bad news is that insurance companies are increasingly savvy at reducing payments for repair work. Shops say insurers are steering them to aftermarket parts from China and other low-cost countries, which some say are inferior to factory-approved parts. 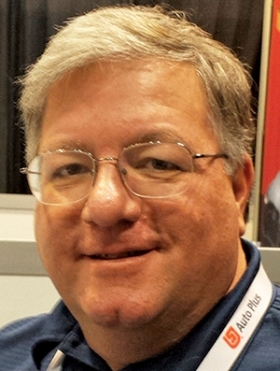 News Editor Charles Child visited the Automechanika Chicago trade show for auto repairers and their suppliers on April 24 and 25. Here are his snapshots of seven people at the show striving to stay abreast of rapid technological and global change. Job: Parts director, Gandrud Auto Group (Chevrolet-Nissan-Chrysler-Jeep-Dodge-Ram), Green Bay, Wis. He wholesales Mopar, Nissan and General Motors parts to dealerships and repair shops mainly in Wisconsin and Michigan's Upper Peninsula. Challenge: Fighting downward pressure on prices and profits. His story: Top of mind for Slack, 51, is the pressure on prices caused in part by cost-cutting insurance companies and widely available aftermarket parts from China and other low-cost countries. "We get 10 percent over cost if we're lucky" on the factory-approved parts he wholesales to dealers and independent shops. "We used to get 25 percent over cost." Why are his margins falling? "Insurance companies are putting pressure on everyone to use cheaper parts." For example, PartsTrader keeps a long list of parts suppliers for repair shops. The suppliers provide a range of parts, including factory-certified, recycled and remanufactured parts. "Insurance companies are running the collision industry," Slack says. PartsTrader naturally has a different view of its role. Suppliers can only bid on parts if they are nominated by a repairer who uses the PartsTrader service, says the Parts-Trader website. And shops choose the parts they use. In other words, PartsTrader says it is trying to create an efficient marketplace by matching suppliers and repairers without coercion. Dale Sailer, vice president of business development at Parts-Trader, said after the show that repair shops influence the site by rating the suppliers. Sailer said, "Our highest-rated suppliers sell two-thirds more parts than lower-rated suppliers." Job: Manager, D&M Auto Body, a repair and collision shop in Old Bridge, N.J. Challenge: Maintain revenues and profits as insurance companies push down payments for repairs. His story: Auto insurers relentlessly pitch low prices to drivers. Think Geico's pledge to save 15 percent. That price pressure is felt in America's collision shops. 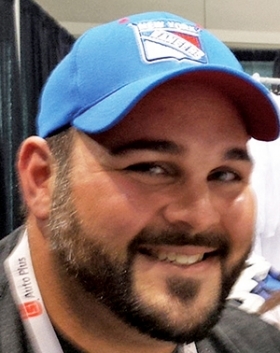 Insurance companies scrutinize Cataldo's estimates, often recommending lower-priced parts. They also sometimes refuse to adequately pay for proper procedures, he says. For instance, he says, sometimes insurers "won't pay for the cover of a car for painting or for the time to put it on a car." This year, Cataldo, 32, says it was painful to install used parts at an insurer's recommendation on a Volks-wagen Jetta with only 1,500 miles on it. "The parts were not the same as VW parts." Yet he adds: "People get mad at us," rather than the insurance company, "because we are putting the parts on." 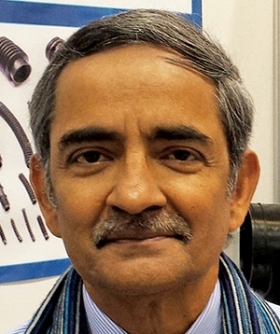 Challenge: Start sales in the U.S.
His story: Ashok, a graduate of Eastern Michigan University, manufactures small plastic and rubber parts for brakes, control cable and other systems for India, Europe, Australia and other markets. Now he is trying to break into the U.S. "A small step for a small manufacturer," he says. Taylor Rubber makes parts in three plants in Chennai. For new-car production, his company is a Tier 3 supplier, selling to larger system suppliers such as Visteon Corp., Meritor Inc. and others. He says he offers quick turnaround on bids and production -- and, of course, low prices. But global price competition is so stiff, he says, that he typically just accepts prices offered by his customers. "We rarely have the privilege of negotiating on price," he says matter of factly. "There are a hundred [other] guys competing on price." Job: General manager of North America aftermarket, Honeywell Turbo Technologies, Plymouth, Mich. Challenge: Educating techs on proper maintenance and replacement of Honeywell turbochargers -- while fighting off inexpensive replacement turbos. 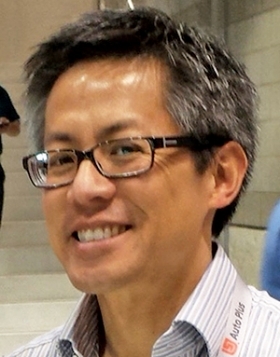 His story: The rule for turbochargers: Replace them, don't fix them, Yaung, 48, says. "It's aerospace technology. You have to be very careful in there." For instance, turbos spin at up to 300,000 rpm and withstand temperatures up to 1,050 degrees Celsius, or 1,922 degrees Fahrenheit. He is educating America's repair shops about turbochargers, in part because of the soaring use of turbos on U.S. roads. The device raises power on engines downsized to meet consumer demand and regulatory mandates for higher mpg. Honeywell supplies turbos for engines of many brands, including numerous Ford EcoBoost engines. Honeywell says turbos are largely maintenance free and designed for the life of a typical vehicle. But Yaung adds that techs should strictly observe a vehicle's oil-change intervals. The vehicle's engine oil lubricates turbos, which are "less forgiving of dirty oil. It's the most precise piece of equipment in the powertrain." He says competition from inexpensive aftermarket turbos is still minor. Honeywell aftermarket turbos cost consumers about $800 to $2,000, and an inexpensive aftermarket competitor can be one-third cheaper, he says. 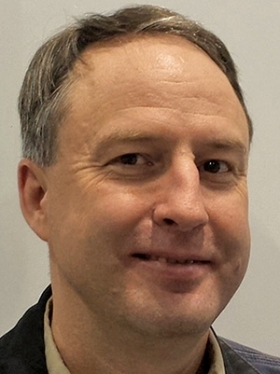 To fight the competition, he says, Honeywell is looking at selling remanufactured turbos for the aftermarket in the U.S.
Job: Marketing manager for refinish products, Axalta Coating Systems, Glen Mills, Pa. Challenge: Boost awareness in the aftermarket of Axalta Coating Systems, formerly known as DuPont Performance Coatings. His story: In 2013, DuPont spun off its automotive paint and coatings business, which was renamed Axalta Coating Systems. 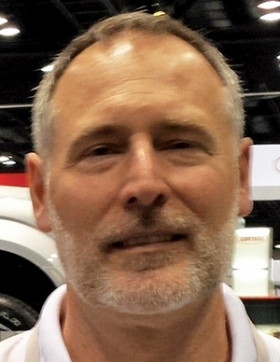 Christman, 52, says a main task is simply getting the word out about Axalta to the body shops of auto dealerships and independents. "DuPont is a household name," he says. Axalta is not. Challenge: Build U.S. sales of wheel aligners, lifts and other shop equipment nearly from scratch. His story: Ba, 35, optimistically pitches his company's Sunshine line of shop equipment, undaunted by stiff competition in the U.S. He says his company is thriving in China. Demand for shop equipment is booming to service the millions of vehicles pouring onto Chinese roads. 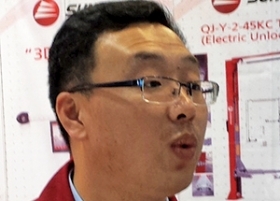 But Yantai Haide is virtually unknown in the U.S.
His company started sales in the U.S. in 2009. It now has 10 of its 3-D wheel alignment machines in operation here. They cost $6,000 to $8,000 -- one-half or less of competitive products here, he says. Some potential buyers equate "low price with low quality," he says. But that's not true, he quickly adds. The quality of Chinese autos and machinery is advancing rapidly, he says, and a lot of equipment made in China is sold under other brands. Job: Mobile maintenance trainer, Kinross Gold Corp. He trains technicians how to maintain vehicles for Kinross' Fort Knox gold mine near Fairbanks, Alaska. Challenge: Help diesel techs master the complexity of computerized engine controls. His story: Some of the mine's trucks haul 250-ton payloads. They are powered by 16-cylinder, 2,600-hp diesel engines equipped with four turbochargers. "Our greatest training need is definitely electrical," says Martin, 52, who was teaching seminars at the trade show. "The controls of off-road vehicles used to be primitive. Now they are becoming equally complex with light autos. It's all driven by emissions [regulations]. Our mechanics are in catch-up mode." His big diesel-powered vehicles still lack what's called OBD-II on-board diagnostics for light vehicle engines. But he says: "I can see it coming."